It’s that time of year when holiday feasts, cookie exchanges, parties and colder weather can easily get in the way of working out. 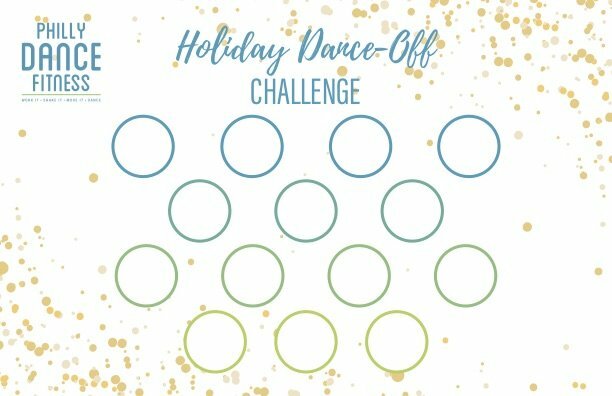 So we’re giving you an extra incentive to keep coming back to our studios with a Holiday Dance-Off Challenge! Your mission: Attend at least 14 classes between Thanksgiving and the end of the year. The pay-off: A $25 gift certificate and a chance to win a FREE month of Membership! And, of course, how awesome you’ll feel after shaking it at all of those classes. To participate, all you have to do is pick up a “Challenge Grid” from any of our studios and ask your instructor to initial a square each time you come to class. Worried about missing too much time for holiday travels? 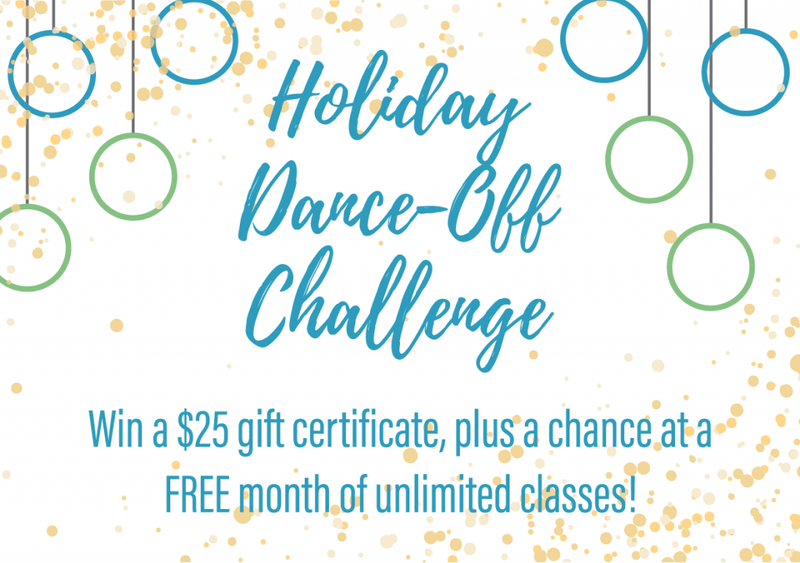 You can still try our “mini-challenge” for non-members: Come dance at least 7 times before the New Year and we’ll give you a free class! Turn in completed grids to any of our studios by Dec. 31. We’ll verify your tallies and send a follow up email with your prize — either a free class code or a $25 digital gift certificate that can be used toward any of our services or apparel through the end of February (excluding Membership payments). We’ll ring in the New Year by drawing the winner of the Membership prize during the first week of January. To help you get all your classes in, we’ve created a limited-time discount package so you can dance for as low as $10 per class — a savings of 30% off the drop-in rate! 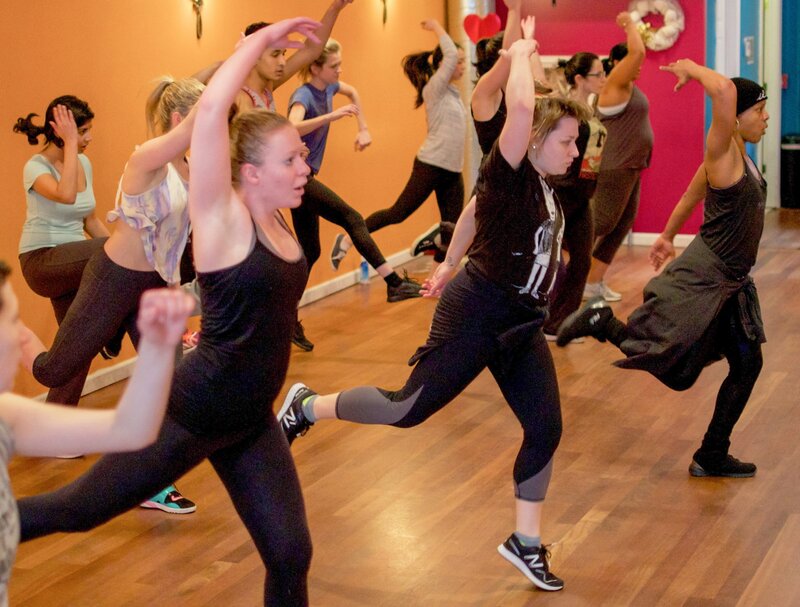 This package can be used for any of the regular 50-minute group classes on our weekly schedule, from Cardio Pop to Ballet Basics and more (does not include small group technique, full-length Ballet or workshops). We’re only offering this deal through the end of November, so grab one while you can! Limit one per student. So, are you ready to balance holiday indulgence with some extra action on the dance floor? Here’s to a healthy winter, see you in the studios!